Since coming to the Throne in 1952, most photographs that we see of Queen Elizabeth II are of her performing her duties, dressed in a colourful garment and hat. But the photo below, taken over Easter, shows the 85-year-old monarch of 16 countries, including the UK, Canada, Belize and Jamaica, performing a much more personal duty: that of grandmother. 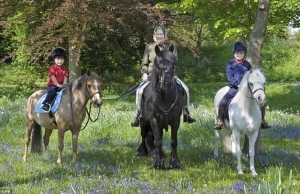 It shows the Queen in her civvies riding through bluebells in Windsor Great Park with her two youngest grandchildren, Lady Louise Windsor, seven, and her three-year-old brother James, Viscount Severn. Lady Louise, who is 9th in line to the Throne, was one of the bridesmaids at the recent wedding between her cousin Prince William and Catherine Middleton. 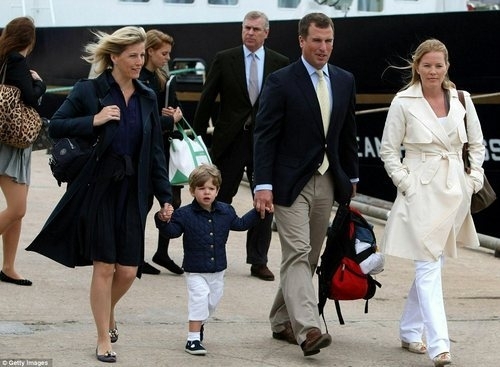 Her younger brother Viscount Severn is 8th in line to the Throne. The Queen is wearing white jodhpurs, brown riding boots and a tweed hacking jacket with gloves. And, despite repeated calls by safety campaigners over the years for her to wear a helmet, she is still stubbornly sporting her famous knotted headscarf. 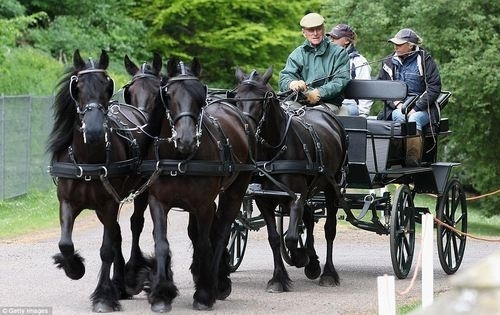 The Queen loves horses and has been riding on them since she was a little girl. She attends horse racing's Royal Ascot Festival every year. The children's parents, Prince Edward and Sophie, Countess of Wessex, have always fiercely protected their children’s privacy, particularly as Lady Louise suffers a rare eye condition which gives her a squint. But apparently, the Queen loved the photo so much she agreed to have it published. Windsor Great Park is a large deer park of 5,000 acres to the south of the town of Windsor on the border of Berkshire and Surrey, 20 miles west of London. The park was, for many centuries, the private hunting ground of Windsor Castle and dates from the mid-13th century. It is now open to the public.